Play golf? If you don't--move on. APT Golf isn't a simulated golf game, it's a program that tracks your real-life golf scores and calculates your handicap. You can track just your own game, or a whole team if you like. It's thorough and it's a good bet there were some golfers involved in its development. 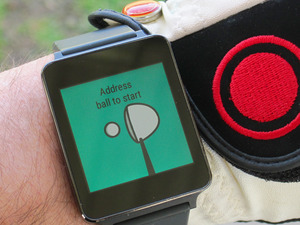 APT Golf's interface is simple and old-school, but everything it needs to be. It opts for pages and dialogs where you can enter all the required information in one fell swoop rather than step you through dialogs. This is always my preferred approach when it comes to programs that deal with lots of data. APT Golf provides a rather large list of courses--approximately 10,000 from all over North America. Yardage and the par for each hole is provided so you simply enter the number of strokes and putts for each hole, plus the tee you were starting holes from (red, blue, and white). After you've entered five courses, the program will also figure your handicap using USGA rules. You can use APT Golf for free for 60 days. However, you won't be able to download the updated golf course database. Keep track of multiple golfers and even teams with this golf database program. It also calculates handicaps.